I don’t usually talk much about the planning stages of my adventures, I guess because to me it comes second nature now after so much experience. But honestly? 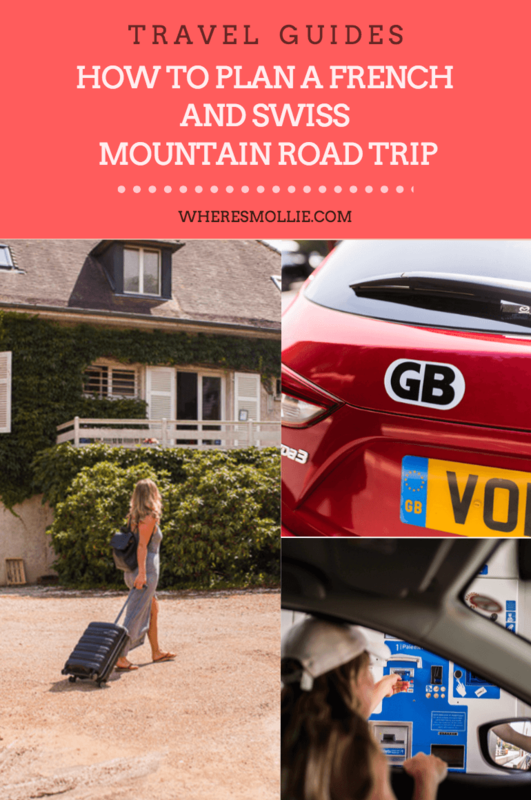 The key to a fun, spontaneous and memorable road trip is definitely in the planning so in today’s post I’m going to share with you how I come up with the routes, how I plan the direction and how I pack to ensure I have the perfect recipe for a good time. 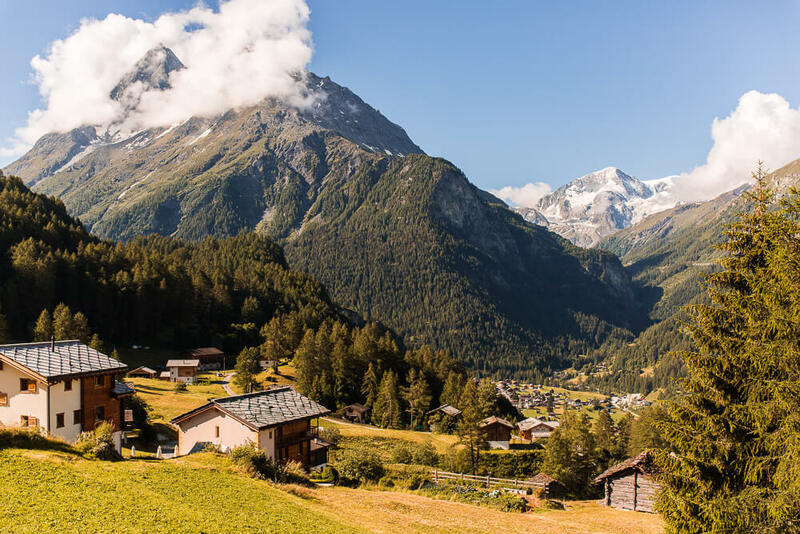 I’m currently writing this from the ferry as I make my way over from Dover to Calais ready to road trip my absolute favourite corner of the world over the next eight days – the French and Swiss alps. Whilst we don’t have a set plan of where we are going to be, eight days isn’t a lot for how much there is to see in this region so we are most definitely setting out with a rough route idea. 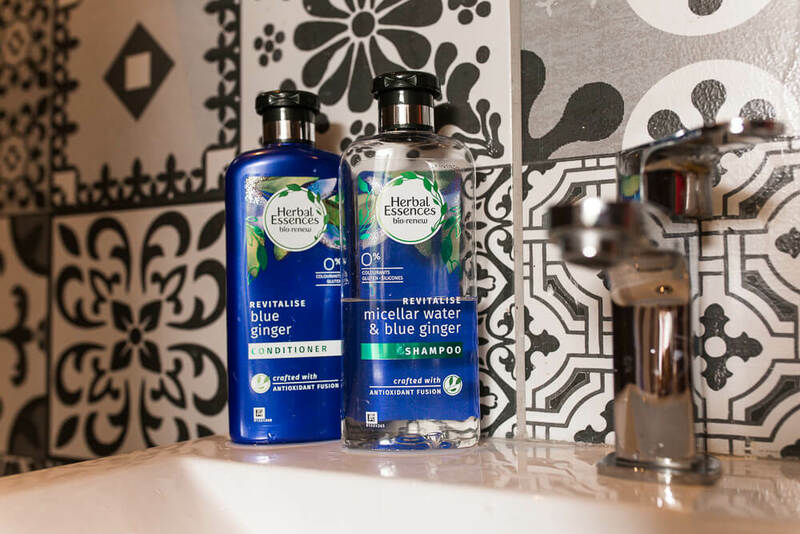 This post is sponsored by Herbal Essences in line with the release of their brand new addition to the bio:renew collection – Micellar water and blue ginger. As you may well know, I’ve been an ambassador for Herbal Essences for over a year now and it’s a partnership I am so proud of, for both of our brand values celebrate adventure, nature and life. 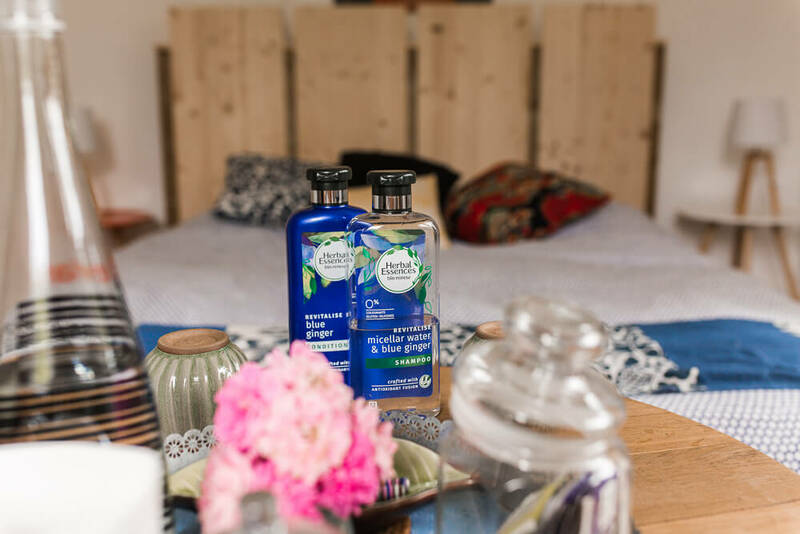 Freshening up with my favourite Herbal Essences collections after lake dips, mountain hikes and active adventuring has become a staple on my travels and for this road trip it will be no different. I have my Micellar Water and Blue ginger packed and at the ready to keep my hair hydrated and nourished throughout the trip. 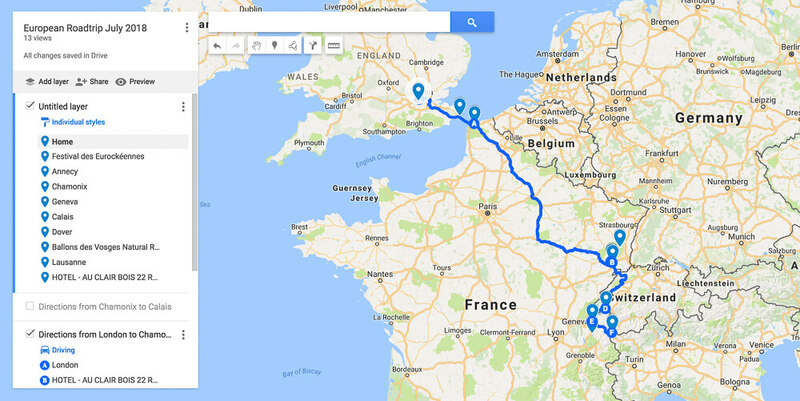 Honestly, if you’ve never used google maps to plot a route / save your favourite places for later – get involved. It’s an adventurer’s best friend (well it’s definitely mine). When I’m researching a new destination I set up a fresh google map and plot in the points of interest so that they are in one place and I can effectively plan a route based on their relative locations. I do this for a city, for a beach break and definitely always for road trips. How to create a google map: Open google.com/maps and make sure you’re logged into your Google account. Click on the menu and select ‘Your places’. Click on the ‘maps’ tab. Click ‘create map’. Name your map and start pinning! Could you get public transport between them? How far is the first location from home? Could you fly to the destination to save time and hire a car there? Just like you’re here reading my tips and tricks, if ever I get stuck or need inspiration I use Pinterest or Google to discover other bloggers and the travel guides they’ve created. 4. If you’re driving from home, book your ferry. If you’re flying and renting a car – book your seats. 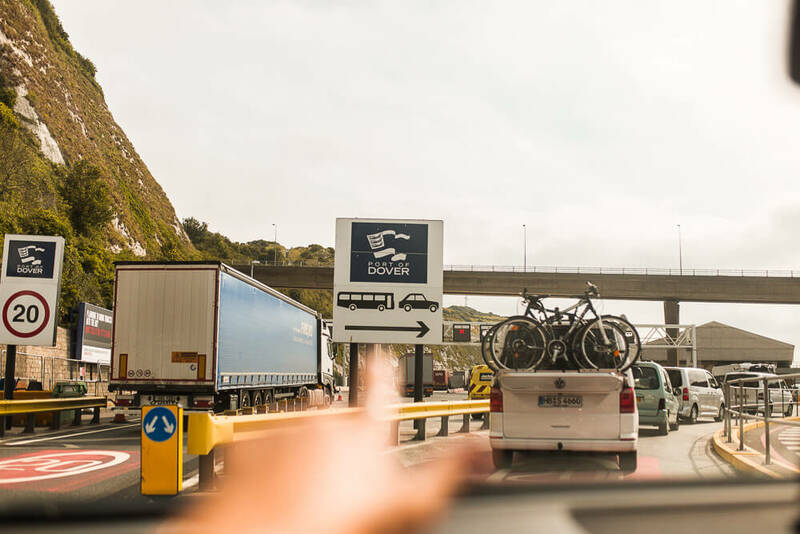 I went on P&O from Dover to Calais which took an hour and a half and when booking the exact times outbound and inbound we secured a return ticket for two at £128. I used Direct Ferries to find the best price and book our return. – Bring your passport! You are entering a new country. You still go through passport checks at borders! – You need to meet European driving laws which includes having: GB sticker, headlight beam converters, reflective jackets, breathalyser. See more here. So excited to share this adventure with you. Stay tuned for more! Have You Been To On A European Road Trip?